The novel-in-stories toes a dangerous line: In the hands of an inexperienced writer, the book can become repetitive, reappearing characters a stand-in for actual narrative development and the ‘plot’ merely a thinly-veiled tool for not being able to write a proper novel. 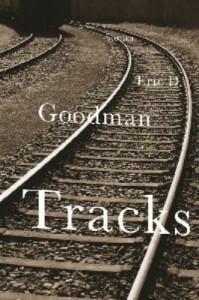 Thankfully, this is not the case for Tracks, by Eric D. Goodman. Quite the opposite, actually. He refuses to be hurried by the younger, more impetuous passengers, even when they begin to curse at him. In a nice little dramatic touch by Goodman, Prewitt is actually forced by his younger bosses to attend a conference in Chicago, a passive-aggressive attempt to slough off the dead wood. Besides the impatience with the younger passengers, Prewitt is undeniably chained to his Franklin Covey Planner. There was “hardly an hour of his workday [that] went by without consulting its pages—if not for guidance, then for reassurance and comfort.” An excerpt of his planner reads: “’Pack for conference. Check. Call daughter. Check. Spend time with wife. Check. Go to bank/handle accounts.’ No, he hadn’t accomplished that. He drew an arrow and carried the task over to next week.” By the end of the story, he decides to take more joy from life, going so far as to open the window and send his planner sailing. For the moment, he is liberated, until the ecstasy inspires him to change his return ticket for an earlier departure, and he reaches for the planner to make a note. The aura of trains is evinced throughout the book. A sort of greased-lens sensibility permeates stories like The Silences. In it, a young couple—Malcolm and Tina, described as “old souls in a new world”—bicker over their lack of words. The lure of untold possibilities in New York City pulls at Tina while Malcolm reads his collected Poe hardback. She feels unnoticed, but he sees their silence as comfortable, contented, secure. After retiring to the lounge car, though, Malcolm makes amends by detailing Tina’s thought process, gleaned only from his observations. This is another nice touch by Goodman, this constant reevaluation of characters after being observed in later stories. In the same way trains cars rock and sway, our perception of earlier characters—the old and rigid Prewitt, the immature Malcolm and Tina, the woman (Demi) whose tattoo snares the lascivious attention of most men on the train—sways with each successive story. Who we thought the characters were from observation isn’t exactly who they are once we’re inside their head. It’s a nice play on the judging-a-book-by-its-cover idea, though one that’s a bit heavy-handed in Freedom, the story that tracks three college students—a soldier, his Vietnamese girlfriend, and their Chinese friend—over ten years. 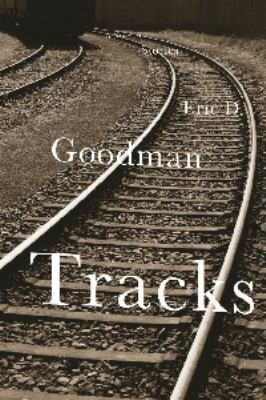 Goodman’s prose feels inspired by this same romance of trains that tinges the book. He is a natural storyteller, one who takes time in unfurling these lives, showing us things we wouldn’t see from the highway of grocery-store fiction. In an age of high-speed internet, Facebook lives and thoughts that only last 140 characters, it’s refreshing to see a book with such unhurried attention to character. In the same way that train rides make time seem liquid, maybe non-existent, the narrative-time of Tracks bends and contorts to encompass large swatches of the characters’ lives. In Live Cargo, Helen, an older women returning from a visit the Holocaust museum in Washington, DC, slips between her childhood experience of trains—a stockade car full of people on the way to a Nazi death camp—and her time in the museum. She tries to swipe away visions from her childhood, “charred piles of bodies, blackened flesh clinging to faces like the burnt skin of overcooked marshmallows.” Reset features Gene Silverman, the reinvented persona of Eugene Beckett, an identity-theft wiz-kid who now speaks as an activist for the legalization of recreational drugs, prostitution and gambling. The story shifts between his rise through the criminal ranks and his quick flight from the life. Goodman’s steady hand lets the reader move between these potentially jarring shifts with ease, swaying through time like a car on the rails. Like a train-ride itself, it’s not the arrival at the other station that’s the important part. It’s all of the things you see, people like the characters in Tracks who you meet along the way. They stay in your head, long after the final page is turned.